Company Kids LaCrosse Jr Slumber Bag Giveaway ~ 2 Winners! As we were packing up and moving this summer I came across a couple of sleeping bags we had. I don’t know why we still had them because they were ripped and torn and just looked ratty. I thought to myself who makes such a bag with cheap material…and wonder why I even bought them in the first place. They wouldn’t even have kept you very warm they were so thin! When our LaCrosse Jr Slumber Bags arrived from Company Kids I said Yes this is what a sleeping bag is supposed to be like! 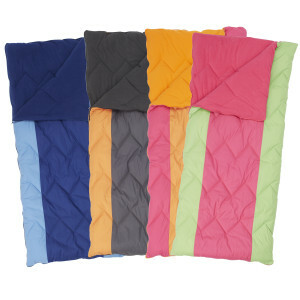 It is full of hypoallergenic TCS® Down Free™ fill, lined with 100% poly fleece and has a 230 thread-count cotton shell. Thick, cushy, soft and warm is how I would describe it! My boys love them! They took them right outside to our fire pit. While we didn’t have the spark lit for this picture, the blankets will definitely be brought back out on chilly nights when we make s’mores. Perfect for camping too don’t you think?! I know that is really what the kids are dying to use them for. Or maybe just taking an outside snooze? C’Man has become our roller, though I think I need to teach him how to tighten them up a bit. Secure them with the attached Velcro ties and you are ready to go in a jiffy. You can even get it monogrammed! What a great gift. Are you thinking about December already? I am. The holidays will be here before you know it and a cozy comfy slumber bag will make any child smile. They make matching ones for the dolls too! I partnered with The Company Store for this post and all opinions are my own. The giveaway will end on August 20, 2014 at midnight EST. Winners will be drawn via rafflecopter. Once a winner is drawn I will contact them and they will have 48 hours to reply before I draw a new winner. Giveaway is open to anyone in the US and you must be 18 years of age or older. Giveaway not affiliated with Facebook & I release them of liability. Winner will be posted in the rafflecopter widget. These would be perfect when we have the grandkids for a sleep-over! Thank you for the chance. Yes, this would be perfect for my grandsons to use! Looks comfortable! My son would love to have his own sleeping bag! I would love to give this to my nephew. He is starting to want to have 'camp outs' in the backyard. 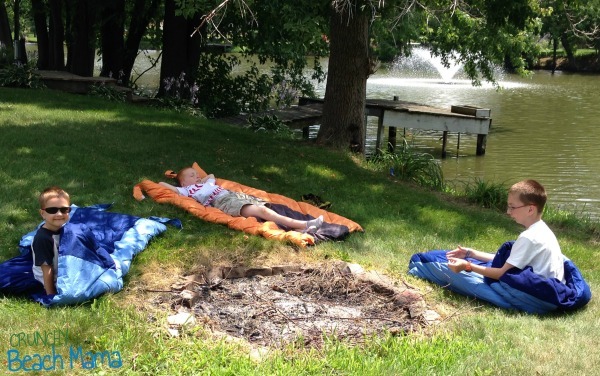 My kids are dying for a campout (even if it's the back yard). Thanks! I don't need one, but my friend's daughter would love to have own! we could use this for our camping trip. My grandson needs a new sleeping bag. He would love the blue one. My oldest daughter has an old Little Mermaid sleeping bag that needs to be replaced. We could definitely use new sleeping bags. We love going camping. My daughter would love having this to keep her warm it looks so soft too. This would be great for camping trips. We have no sleeping bags and would love some!! We still have sleeping bags from when I was a kid--so yes we could use some new ones! We certainly could use new sleeping bags. With a house full of boys that are always doing things with kids and Scouts, this would be perfect! This would be perfect for us, my husband and son just signed up for indian guides! We need them for camping. My 5 year old was just asking for a sleeping bag! My boys don't have sleeping bags so this would be perfect for our house! We've been talking about camping in the fall and our sleeping bags are nasty!!! I think mice prob got in them in the garage. New ones are needed! oh yes, we could use a sleeping bag for this weekend,lol. we will have a blast without it, but that would be so cool. My daughter would love this sleeping bag. She has outgrown her old one! We could use new sleeping bags. I just threw out my daughter's old one because it was completely torn. We have a few sleeping bags but they're probably 20 years old (the youngest). We could definitely use a new one. Yes we could big time. We dont have any so we could definitely use! 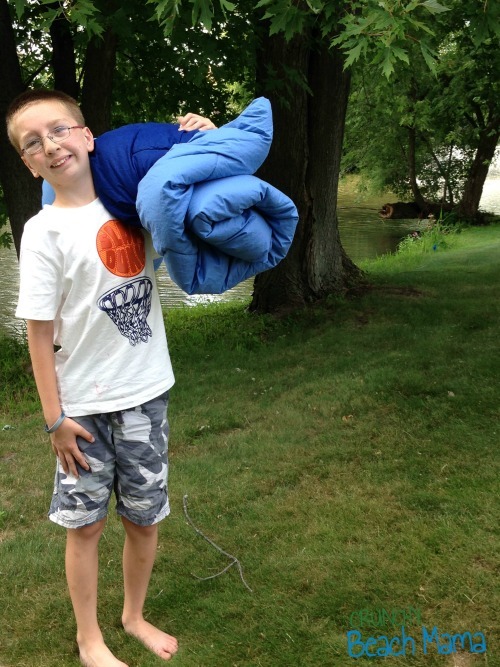 Yes, My grandson would love to have a sleeping bag for camping! Yes, we need new sleeping bags that everyone can have to each get one. The kids do not have sleeping bags - they would Love them! My grandson would love a sleeping bag. We don't own any kids sleeping bags! These seem wonderful & so colorful! We could definitely use new sleeping bags for the kids. Ours get used a lot and we could really use some new ones. My house could always use sleeping bags. I have five grandchildren who would love to have one. We could use a new sleeping bag. My son has one that could be given to his little sister and this one would be a great replacement. Yes, we could use some more sleeping bags. I'd love to leave one at my inlaws to cut down on our packing. You bet we could use new sleeping bags. That would be awesome! We could definitely use new sleeping bags!! we have moved several times ans we don't have ay sleeping bags anymore! my daughter could use this! Yes we could use new ones. I'd love to win a new slumber bag for my daughter's birthday. I like the Blue and Hot pink Slumber bags. We definitely could use a new sleeping bag! I have a 7 year old that doesn't own one yet! My kids could use sleeping bags, they are great for any type of travel. We camped out on one of the few cool nights this summer. That's when we realized that we don't have a sleeping bag for our youngest yet. 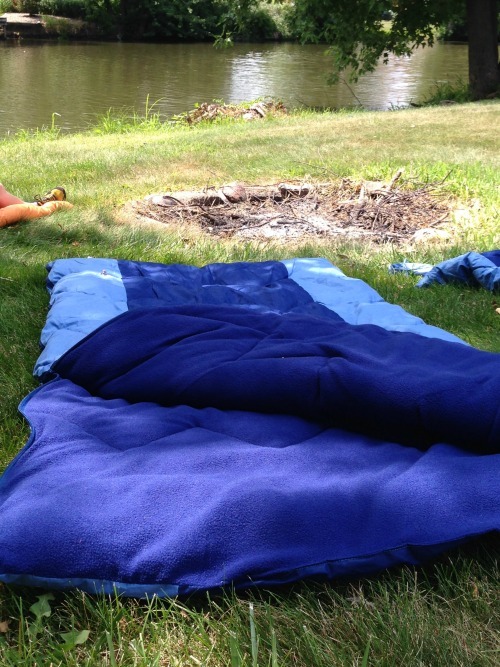 My kids are about to outgrow their old sleeping bags, so we could definitely use some new ones. Thank you for the giveaway!! We definitely could use a new sleeping bag! I would love to have new sleeping bags cause we have two very old ones.. This would be great for my son who doesn't have a sleeping bag. 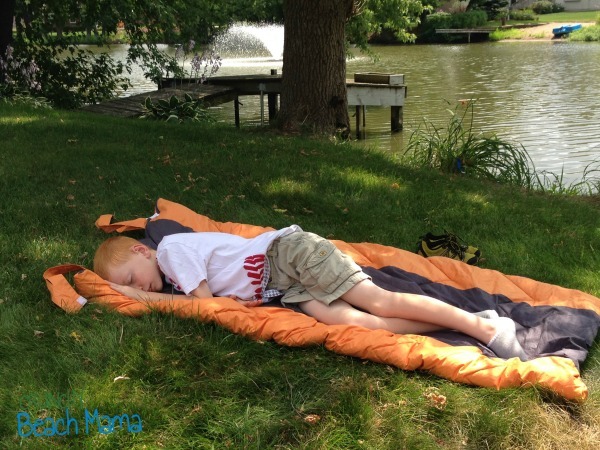 My son loves to go camping so this sleeping bag would be great for his son when they go. Yes we going camping, so new sleeping bag would be awesome. We could use new sleeping bags. The kids have friends over occasionally. Always! We have sleep overs all the time, this would come in handy! definitely! now that the kids are having friends sleep over. Yes! New sleeping bags would be handy in lots of ways! my grandson would really love one of these bags. I hope I can win. Yes, I don't have any right now and there are kids in my family who stay over sometimes. We currently don't have any! My little guy is now old enough that we are ready to take a few trips. My littles have those cheesy character one that are paper thin and slippery. My son is old enough where he could use a 'real' sleeping bag. thanks! definitely could use some new sleeping bags! I think the newest ones we have are about 10-15 years old! My son would love his own sleeping bag! Yes, they would be good for the nights the kiddos want to sleep in my room! I was planning on buying my grandchildren new sleeping bags for Christmas - they have outgrown the ones they have. Yes and I don't even have one of my own. My husband and the boys have ones from about 8 years ago and we would love to go camping altogether.My husband went with my older son and I stayed home with my younger son and so the four of us would love to have a couple new bags. :) Thanks. We could use new sleeping bags! I love their color choices. I would love to get the blue corner chair for my sons' room, it would be a perfect area to read the books he needs to for homework. We could use a few new sleeping bags. We moved this summer used our sleeping bags to "camp" out in our empty house. The 2 oldest ones are in dire need of replacement. Thanks for a great giveaway! The big league quilt, looks awesome. But the kids would use the sleeping bags as comforters too. Yes! We could use a new sleeping bag.Thanks! My son has been asking me to sleep outside so he can watch the stars, this would be perfect for him! It doesn't hurt either that they have his favorite color. Yes we would love new sleeping bags as we like to go camping. I want this for my little nephew Max. He loves camping! We could use a new sleeping bag for my daughter, one of these would be perfect. We don't have any sleeping bags for the kids yet, so this would be great! WE COULD USE A FEW MORE SLEEPING BAGS. We could definitely use some new sleeping bags! I know a little someone who doesn't have one! Yes, both of my kids could use new sleeping bags! thanks for the chance! We just purchased a new camper and the kids could use one. We could definitely use a new sleeping bag. My older son has one, but we don't yet have one for my younger daughter. My son could definitely use a new sleeping bag. We love camping. There's time left to camp! Maybe a new bag would be some incentive. I also like the hooded towels. They're so cute! My daughters would love the mermaid and the butterfly one. We could use new sleeping bags. The ones we have are well used and getting old. Yes we could use sleeping bags as we don't have any right now, thanks! Ugh sorry I missed that awesome giveaway! I definitely need new bags for the kids - A. complained EVERY night of our camping trip that he was cold and ended up in bed with us!